Thru-hiking a long distance trail is a powerful, eye opening, and hopefully positive experience. Having completed two thru-hikes, I can definitively say it has ruined my life in the best way possible. However, one thing that can negatively affect your experience is carrying too much in your pack. In my experience, I have found that carrying less weight allows more when thru-hiking. With that mentality, I have continued to lower my base weight (The weight of carried gear , minus food and water) with each trip. On the Appalachian Trail in 2016, I started with a base weight of 23 pounds. I quickly found that it was just too much for me and my mileage goals. I reached Neel Gap in Georgia, 31 miles in and sent back five pounds of gear that didn’t warrant being in my pack. Over the course of my hike, I slowly began to whittle down that number, eventually getting it down to 13 pounds. A step up for sure, but not as far as I would have liked. And then in Maine, I had my first encounter with a true ultralight hiker. 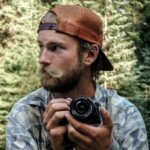 This guy was hiking not just the AT, but the full Eastern Continental Trail, 4,800 miles from Quebec to Key West, Florida, all while carrying a 32-liter pack at just six pounds! I was stunned, but also knew that if he could do it, I could too. On my Pacific Crest Trail hike in 2017, I made the necessary changes and discovered the beauty of ultralight hiking. I found that I hiked with more joy and excitement than when my pack had been heavier. My body was able to bear the stress better, climb mountains faster, hike longer, see more, and explore further each day. My base weight for the PCT was less than nine pounds for all but 300 miles in the High Sierra. With this lowered weight, 25-plus mile days became a breeze and my experience was much more enjoyable. And on top of it, it allowed me to enjoy a full day, instead of dreading the next climb. I found an appreciation for seeing both the sun rise and set in the same day, cowboy camping became my preferred method of sleeping under the stars, and I wouldn’t feel rushed to make my miles in a day. Ultralight hiking isn’t for everyone though—each person has their own style. However, there is a misconception that ultralight hiking is expensive and too costly to afford for the average hiker. To prove this, I have taken on the challenge of creating an ultralight gear list for a thru-hike for under $1,000. This list will show that you don’t need the cream-of-the-crop cuben-fiber gear to achieve lighter results. This list is also directed at thru-hiking during a typical summer season, and may not work as well into the shoulder seasons. Feel free to add/subtract items that will add to having a more positive hiking experience. All prices listed were current MSRP, and some items may be found at a discount. The base weight ended coming out to 9.78 pounds, a touch under what is considered the Ultralight Threshold of 10 pounds. As a reminder, this is a base weight chart—not a full gear list. This will only show gear that will be carried in your pack, not items you wear (hiking clothes) or use during the day ( trekking poles). DISCLAIMER: I have not personally tested each and every one of these products and therefore can’t recommend just copying this list and heading out on a trip. Every hiker has different needs, and this list is intended to provide ideas to help cut weight without breaking the bank. 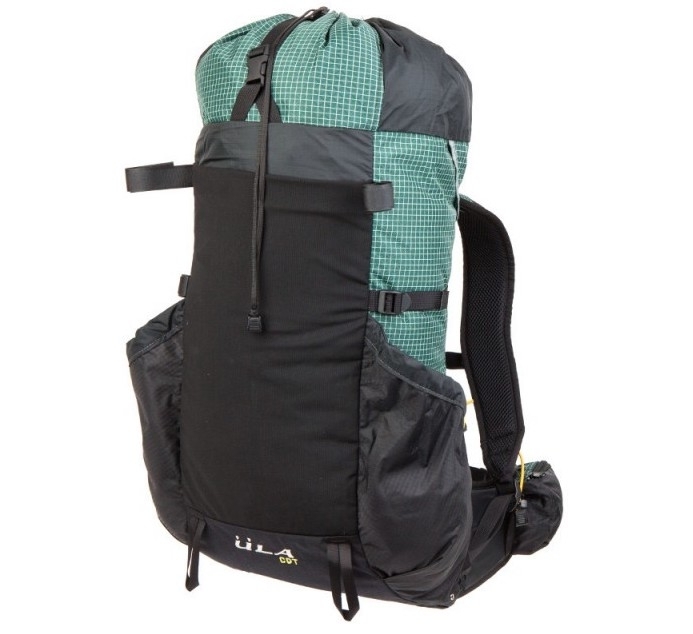 This is a 50L frameless pack made of tough robic material, the same used on all ULA packs. The pack size is plenty for a smaller gear loadout, especially with a lower base weight. Using your sleeping pad as a back panel will help increase comfort and give the pack more structure when hiking. This is a silnylon trekking pole tent isn’t rated at a certain size, but I used it on the entirety of my AT hike and there was plenty of room to sleep for one person and store gear inside the tent at night. While it’s not the lightest bag out there, this is where the budget limitations come in. This is a cost-effective 40-degree bag, great for the summer season and kept me plenty warm on the AT. Good lightweight pad, I shortened the pad to just 6 rectangles to go from my shoulders to my waist. At only $35 and weighing 6oz when shortened, you can’t go wrong. Super tough, so light you’ll forget you have them. Stakes are 6 inches long. This weight and price for a down jacket is hard to beat. And REI’s return policy is pretty sweet. If you don’t like it, they offer one-year satisfaction guarantee on all their returns. You can basically use any beanie you own. If you don’t have one, most can be picked up for around $15, and around 2.5oz. This is the most cost-effective rain jacket you will find. They may not breathe well, but it will keep the rain and wind off you. They are not the most durable jackets, but if you take care of them, they can last you a full thru-hike. 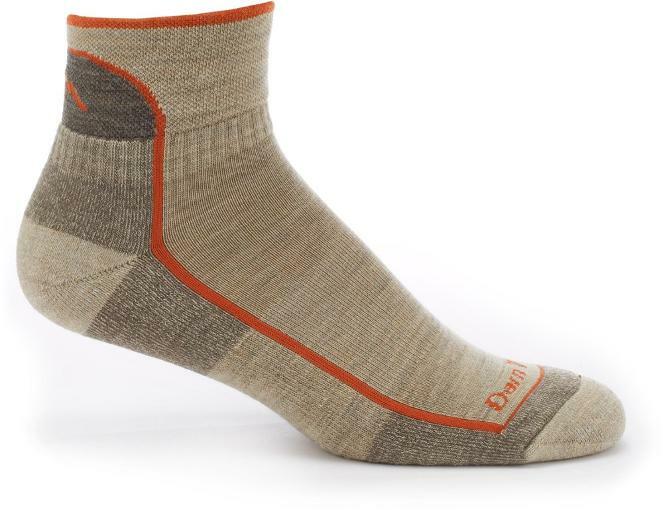 I use Darn Tough socks, but you can use whatever socks you have. You should always have a spare pair of socks; your feet are pretty important, so baby them up. Any brand you have will do, but I was able to find some Hanes Long Johns for $16 on amazon. Most Long Johns in the lighter weights will be around 7-8oz. I find some sort of leggings are great for sleeping in/colder days on trail. I usually bring about 2L of water carrying capacity, more if I’m hiking in desert. Use cheap water bottles. Powerade bottles are great with the wide lid and they come with POWERADE! $4 will get you 2L of capacity for 2.8oz. Don’t waste your time on the Sawyer Mini, the flow rate is pitiful. The full size is definitely worth the extra half ounce. You should also leave the plunger at home and, if you use a Smartwater bottle, a sort cap can be used to shoot water through the filter to backflush it when needed. 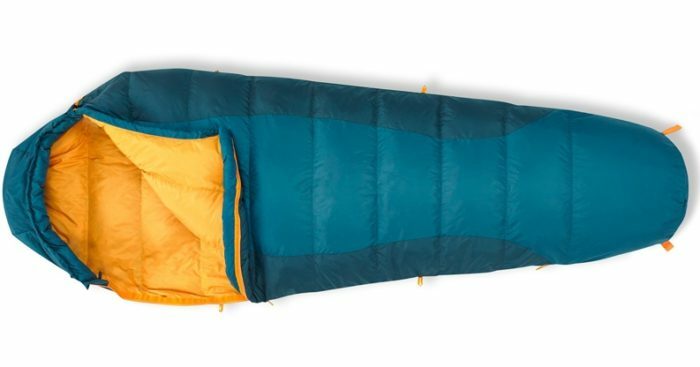 Another UL option is the new Katadyn BeFree, which is getting rave reviews from last year’s hikers. This price and weight gets you an all-in-one headlamp with a red lamp and wide light settings. A plastic grocery bag can be used to store food in your pack or hang from a tree. Pick one up at your next food run either for free or 10 cents in certain states. Most weigh around .2 ounces. Note that this will not suffice for locations requiring food storage in a scent-proof bag or a bear canister. The best sort of waterproofing, a trash compactor bag inside your bag will be much more effective than a pack cover, and cheaper! Most weigh around an ounce or so and you can pick up a 6-count box for under $5. A small bit of duct tape, some dental floss and a needle weighing in at about .5oz will be all you need for most on trail repairs. If you need to make bigger repairs, you can usually pick more things up in town. Use what you have at home. If you don’t have these items, you can probably get these things for about $5. Store these in a small Ziplock. You don’t need to bring the whole ambulance on trail. The vast majority of medical problems can be solved with Ibuprofen, gauze and Band-aids weighing in about 2.5oz. Obviously if you have a medical need, you should definitely make sure you can treat it on trail. If you need to buy these things, you can get most items you’ll need for around $10. Store these in a small Ziplock. Hopefully you already have one. To save weight, use travel size toothpastes and you can also cut down the size of your toothbrush. $5 can get you down to 2oz for these items. This will be the only stuff sack you have for your clothes and smaller items. Dual usage for items is critical for cutting weight. Use whatever phone you have, shouldn’t cost you a thing! Useful for communication as well as maps. I budgeted in 14oz for the weight of your phone, which is more than what your phone probably weighs. The iPhone 7 for example, weighs just under 5 ounces. I budgeted 4oz for whatever phone charger you currently use. Again, this leaves room for an external battery, as your phone charger likely doesn’t weigh a full four ounces. After the totals on the list have been added up, the total cost of your base weight will come out to just $726.50, well within our goal of under $1,000. This will leave you with $273.50 to put towards upgrading things on this list, or towards the purchase of other items you may need for your hike, such as shoes, trekking poles, etc. On this list you may notice that any worn items have not been included. For these items that you may need, I highly recommend using items you already own! For example, most people own shirts, shorts, underwear, socks, shoes etc. You don’t need to buy some fancy hiking shirt for $50 to go hiking. For my hiking clothes, I get the majority of my items from thrift stores at very low cost. Odds are your clothes and shoes will probably be destroyed in the process of your hike anyway, so why spend a lot of money on them! I hope you have found this helpful in your planning or thought processes for any upcoming hike you have, and I hope you get to have a great hike! I am Justin “2taps” Helmkamp. After thru-hiking the AT in 2016, I got the hiking bug and again went back on trail in 2017 on the PCT. The trail and that lifestyle is what most inspires me and my photography is a reflection of the effects those places have on me. I hope to see ya on trail, and have a great hike! I really liked this list, and the intention behind it, to go ultralight on a budget. You didn’t mention anything about cookware. Do you go stoveless? I choose to go stoveless during summer months. It’s pretty easy to just rehydrate in the package things come in which is what I ended up doing frequently, but another options to use a rehydration jar. There are some fairly light stove options from msr and jetboil if you like warm meals. However I found it mostly tastes the same anyway. I got the Zpacks zero (RIP) last year for $130 @ 9 oz with the options I picked…this year used Noblebear MFG pack (Love!) for $129 shipped @ 11 oz. These are 35 L packs and if you are going ultralight i highly recommend not getting a huge pack, you will put more crud in it. For me anyway 50L is just way too massive, 35-40L is the sweet spot. You can easily get a silnylon tarp for under 1lb and under $100. If you’re doing something like PCT a tarp is perfect, i probably only pitched mine like 20 times in 5 months, half of those were when i came back for Sierras late Sep/Oct. 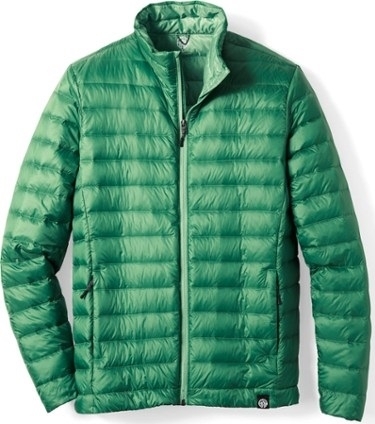 A good budget down jacket is UNIQLO; you can get this for $40 on sale. About 10 oz. BRS-3000 stove is 1 oz if you like to cook with gas, mine cost $10. I did stoveless in the desert and hated it. I got my pot in Japan for $15…you could use some of your extra cash for a titanium one (toss the lid by the way, make that and windscreen out of foil) or find a cheap aluminum option. BTW frogg toggs has a new UL rain jacket, it is listed at 4 oz, i weighed mine (the purple one I guess it’s women’s?) and it was 3.5 oz. I paid $14. Source: 2 thru’s, including last year when i had 8lb base/$1000. I looked into the skyscape tent. This tent, at $245 and 26 ounces, does not include the two poles needed ($60) or the stakes needed (an additional $11) or the waterproofing ( it’s not waterproof without the seal ent, $7). The total tent is $323 and 2 lbs. 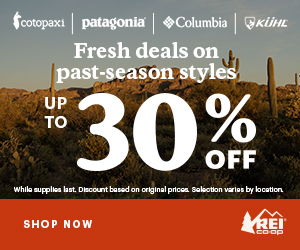 Contrast this with the periodic 20% sales REI runs on their equipment, and a lighter weight, complete, reliable backpacking tent can be purchased for less than $300. Like 2taps said, look at all the options available; both asking price and tents are highly variable at any given time. It looks like the wrong tent got linked in the post. Six Moons also has the skyscape scout that they sell at the listed specs above as opposed to the trekker, which is a bit lighter but more expensive. Yikes. All your links are expired ?